The following article was published in the Norfolk Daily News. Ben has expertise in treating injuries and chronic pain specifically related to dance and performance. 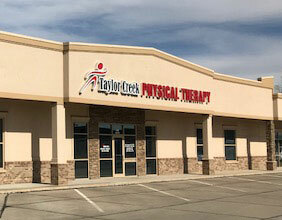 If you or your young dancer are experiencing pain during practice or performance, contact Ben at Taylor Creek Physical Therapy - (402 379-0505, to schedule a screening. Ben Sudbeck became acclimated to the dance environment at a young age. As a child, he would watch his sister, Brooke, bend and stretch her body in ways sports athletes didn't. After earning his doctorate in physical therapy from Creighton University, the 2001 graduate of Norfolk Catholic High School began to understand the specific problems that can arise in those who pirouette or go up en pointe. "They have to put their bodies through different technical moves than other athletes would have to," Sudbeck said. Now, Sudbeck — who works at Taylor Creek Physical Therapy in Norfolk — can more effectively treat those problems, too. He recently spent several weekends in New York City completing training modules taught by Marika Molnar and her staff at Westside Dance Physical Therapy. Since the late 1970s, Molnar has specialized in therapy for dancers and has tended to many of the performers with the New York City Ballet. The training modules occurred over the course of four weekends, each one focusing on areas of the body that dancers commonly injure — foot and ankle, hip and pelvis and neck and spine. "Dancers . . . have some specific type injuries that you will see more commonly than in a regular athlete. . . .They have a lot more foot problems, especially if they're up en pointe," Sudbeck said as he tipped one of his feet onto his toes to illustrate the stress the move puts on a person's toes. "When you're in that position all of the time, it requires not only ankle stability, but also stability in your hips, knees, and abdominal region. If you don't have that stability, you'll be more vulnerable to injury," he said. The training Sudbeck went through in New York consisted of four intensive sessions, each starting on Friday and ending on Sunday. Not only did the modules include lectures, it allowed him and fellow therapists from around the country to work on each other in dance settings and to work with some of the members of the New York City Ballet. Now that he's completed the modules, Sudbeck intends to share his expertise here in Northeast Nebraska. "One of the reasons I wanted to pursue this dance specialization was because there's not much around the Midwest involving specific treatment for dancers and physical therapy," he said. He's teaming up with his sister, Brooke, who recently opened BXtreme Dance Studio in Norfolk. Starting in November, Sudbeck will visit his sister's studio once a week to offer screenings to the dancers. If a dancer has a minor issue, Sudbeck may be able to help out by prescribing targeted exercises or offering pointers. If he finds something more serious, he will be able to offer the evaluation at the studio, and then get the dancer involved in therapy at the clinic. "I know there's a lot of dancers who are wanting specific treatment and are really focused and want to dance as a major part of their life," Sudbeck said. "I'd like to bring that opportunity (for them) to get dance-specific treatment."